My name is Berty Mandagie. I am a commercial and travel photographer based in Seattle, Washington. I also run a travel blog called TheMandagies.com with my wife Emily. A few weeks ago, we were commissioned by Alaska Airlines to hike and camp around Banff and Jasper National Park in Canada for an entire week. We love exploring new places, however coordinating and capturing our client’s vision is top priority. 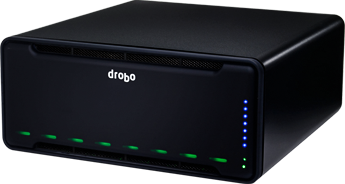 In this post for Drobo, we want to share our workflow from start to finish by providing a glimpse of what it’s like to plan a project with our client and how we execute that idea to the best that we can. And finally afterwards, when we get home, how we safely store our footage and files to eventually deliver the final pieces to our clients. We hope that this can help you with your own workflow, and give you tips on how to execute a successful project with a client. In March, we pitched an adventurous trip in the Canadian Rockies to Alaska Airlines. The idea encompassed capturing beautiful places and epic adventures in Banff and Jasper National Park. Once the project got approved in June, we went deep into researching locations, planning out the times to visit, and making sure we had proper permits and accommodations for everything. We arranged our own transportation, planned out meals, and even did a little blog post writing before we even set foot in Canada. We believe that the execution is just as important (if not more) as the planning and pitching. We worked so hard in the pitching and planning stages, so the execution had to be flawless. For this project, our goal was to create fresh, outdoor content for Alaska Airlines that would inspire our audiences to travel to Banff and Jasper National Parks in the summer. In order to do this, we woke up for every sunrise and shot through sunset, only allowing for a few hours of sleep every night. We saw amazing landscapes and experienced once in a lifetime encounters, including seeing 9 bears in one day. Yes, one day! We consider these projects “on the job” trips, not vacations. It’s important to listen to your body, go to bed early, and take breaks when needed. We make sure we eat healthy (which is not always easy to do on the road) and keep hydrated to avoid burnout. Our downtime is usually when the sun is not the most ideal for photos, which is anywhere between 10AM and 4PM. This is when we sit in our car and edit photos, or find a coffee shop to edit and update our website. We also use the sunniest part of the day to drive to far away locations and make it in time for capturing sunset. An essential part of our job is making sure our photos and files are backed up and stored correctly. On a trip as big as this one, we could easily photograph around 1,000 photos per day in multiple locations. Every night, we sit at our computer and store them on multiple portable hard drives. 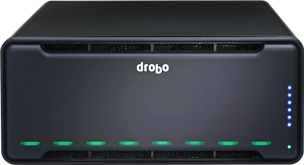 When we’re back home from our trip, we spend an evening backing them up a second time to our Drobo 5D3. 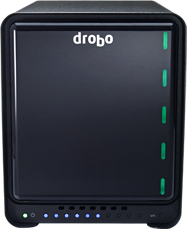 Having Drobo as a backup when working a job this level is crucial to our workflow. When our files are stored at home, it gives us peace of mind when we travel! I actually had a drive fail recently in the Drobo, and the technology was able to keep the data safe without sacrificing anything. I’m really happy so far with Drobo’s ability to protect and store my data. Once everything was backed up and edited, we submitted our photos to Alaska Airlines to finalize our project. Thank you Drobo for allowing me to share some of my insights to our workflow and photos from our latest trip to Banff and Jasper National Park. On a trip which has a huge content load like this one, it was very important that these files were safely stored and backed up at the very end of the trip! Berty and Emily Mandagie are a husband and wife travel blogger/photographer duo that’s always down for a good adventure. They reside in the beautiful Pacific Northwest. On their blog, they aim to capture the outdoors in a beautiful and attainable way. Whether you’re shooting sunrise as a professional photographer or taking pictures of your family with a simple point and shoot camera, they’re here to give you helpful insights on destinations, photography tips, and ways to enjoy your trip to its fullest. Berty Mandagie is a DroboAmbassador. Click here to discover more about his workflow using Drobo.